← It’s Hump Day! Is Camel an Ugly Color? It’s men. It’s women. It’s technology . It’s steam-powered machinery. It’s Science Fiction from another century. It’s unique. Steampunk. 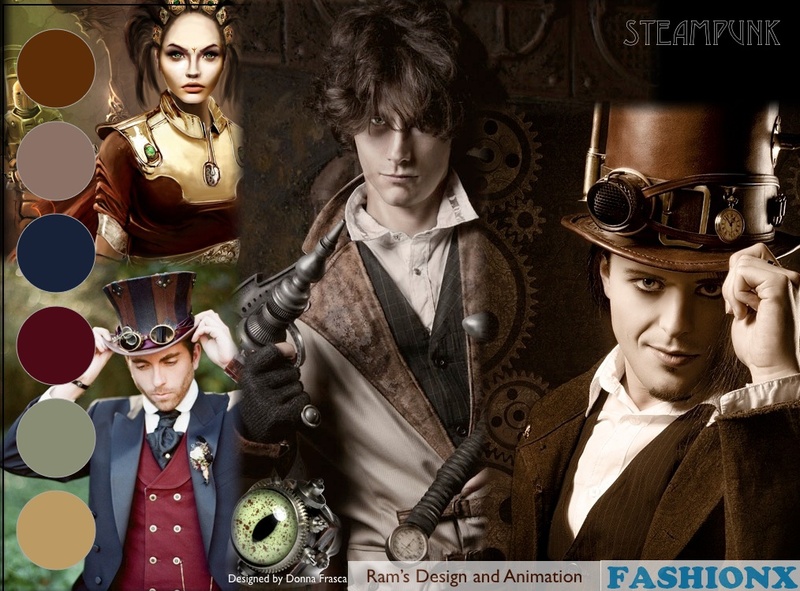 In case you’re still confused, go and Google Steampunk. How about those images!!! Well my friends, I see an amazing color palette. Want something different? Try some of these hues in your home – oh – and they’d be great for a Man Cave or Teen’s room! Sometimes I get tired of the same old blue and gray hues and its super fun to expand you mind … and your color palette. This is a great example of how to have fun with color and fashion. It’s almost like Willy Wonka meets Edward Scissor hands in Thunderdome! Sometimes you just have to have fun with color and why not? These hues are dark, dirty and just some combos that you wouldn’t think of putting together in a room. Don’t forget to add tons of metallic to your deco but nothing shiny. Keep it aged. Anyone have Steampunk decor? I’d love to see it. Let me know. This entry was posted in Color, Color Trends, Inspirational, Kids Bedrooms and tagged dark colors, dirty colors, edgy color, fashion, mechanical color, old color, science fiction, steampunk. Bookmark the permalink. I love these darker colors! A room based upon ‘Steampunk decor’ would be so interesting and exciting.